Paul has a litigation and advisory practice concentrating on financial and private client disputes, most notably pensions, financial services and trusts. A substantial proportion of Paul’s practice also involves advising on and acting in liability and negligence disputes involving professionals. As well as representing some of the highest profile pension schemes in the UK and several major life insurers, Paul acts regularly for The Pensions Regulator. He has been heavily involved in advising on, and appearing in cases relating to, various provisions of the Pensions Act 2004, and also has extensive experience of advising and litigating on various public sector and industry-wide pension schemes. Paul has advised the Royal Bank of Scotland in connection with its successful recovery of pension benefits from Sir Fred Goodwin. He has also advised the Department of Work and Pensions on the age discrimination regulations, and has advised the senior UK judiciary on the effect of the reforms to public sector pensions on the judicial pension schemes. An increasing amount of Paul’s work relates to Self-Invested Personal Pension Schemes or SIPPs. Paul acts for investors, providers and trustees in respect of claims for mis-selling of SIPPs and mis-investment of investments within SIPPS. 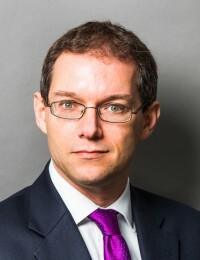 Paul regularly acts in contentious private and commercial trust disputes both in the UK and overseas, particularly Jersey and the Caribbean, involving disputes concerning the role of protectors, claims by beneficiaries and the role and duties of trustees. Paul acted in an aspect of heavily-contested trust litigation involving proceedings in Switzerland, Liechtenstein and the UK worth over £75 million, which led to a Court of Appeal decision on an important point of procedure: Labrouche v Frey  1 WLR 3160. Paul has recently appeared in an international arbitration in Bermuda relating to a claim for breach of warranty in a share sale agreement involving a multinational telecommunications company. He has written several articles on pensions and financial services topics, including an influential analysis of rectification issues as they relate to pension schemes, published in Trust Law International. A superb advocate with a no-nonsense approach.